learn more about these exciting programs! 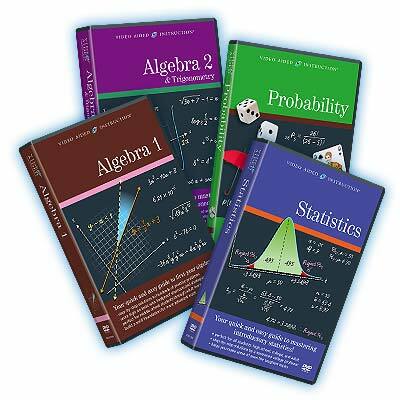 Whether you’re taking math in college, grad school, high school, or even middle school — or simply brushing up on those forgotten skills — Video Aided Instruction’s comprehensive DVD review sets are the ultimate supplements to your textbook and class work! We have programs for a whole range of skill levels, from basic math to algebra and trigonometry, from statistics to calculus! Our intensive programs feature real teaching by real teachers! They’re jam-packed with hours of hands-on problem-solving and feature hundreds of practice questions, easy-to-follow explanations, and proven strategies! Now students can work a their own speed, improve their grades, and fill in the gaps in their understanding. 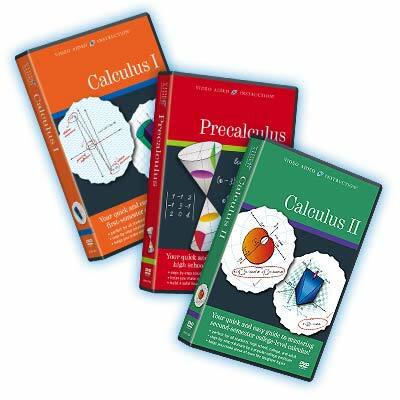 These extensive DVD reviews prepare students for even the most difficult and challenging problems! TAKES THE MYSTERY OUT OF MATH — ESPECIALLY FOR NON-MATH MAJORS!